December 6, 2015 / Rachel C.
Okay, so Day 3’s prompt is silver and gold glitter. It’s a Christmas challenge and I have a silver and gold prompt. You have to know where I’m going with this right? That’s right, Yukon Cornelius. If you don’t know who this guy is, then you didn’t have a childhood. Or, you know, don’t watch Christmas movies. Either way, you’re missing out. Anyway, silver and gold glitters aren’t something I own a lot of, so my choices were limited. I ended up trying to make a gradient with Sally Hansen Golden-I and Kleancolor Silver Spark, but it just wasn’t glittery. So I added 365 Days of Color The Goblet and Kleancolor Silver Glitter over top. 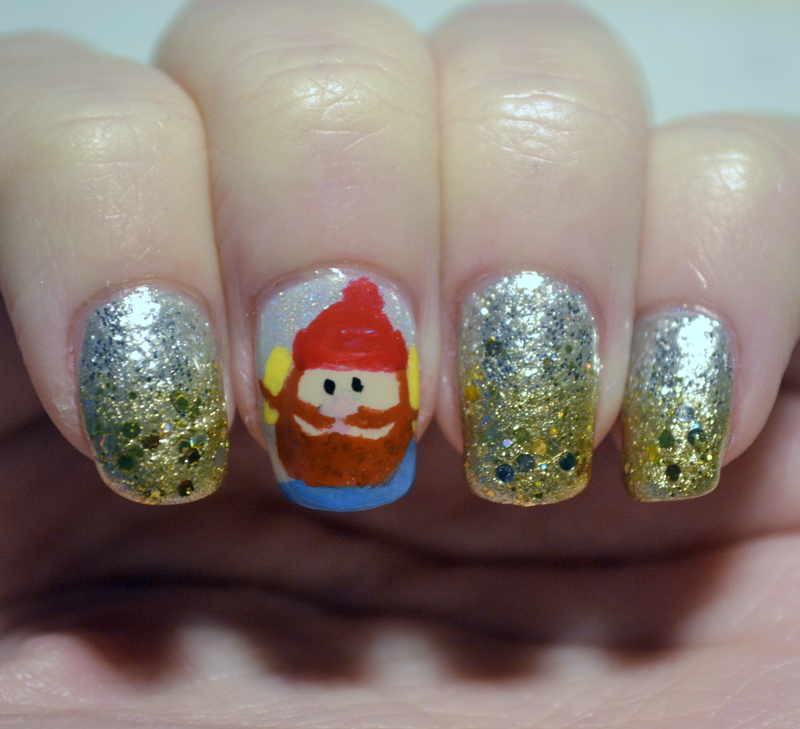 And then I painted Yukon Cornelius for my accent nail. This guy looked so bad while I was painting him, but he actually ended up looking pretty good! 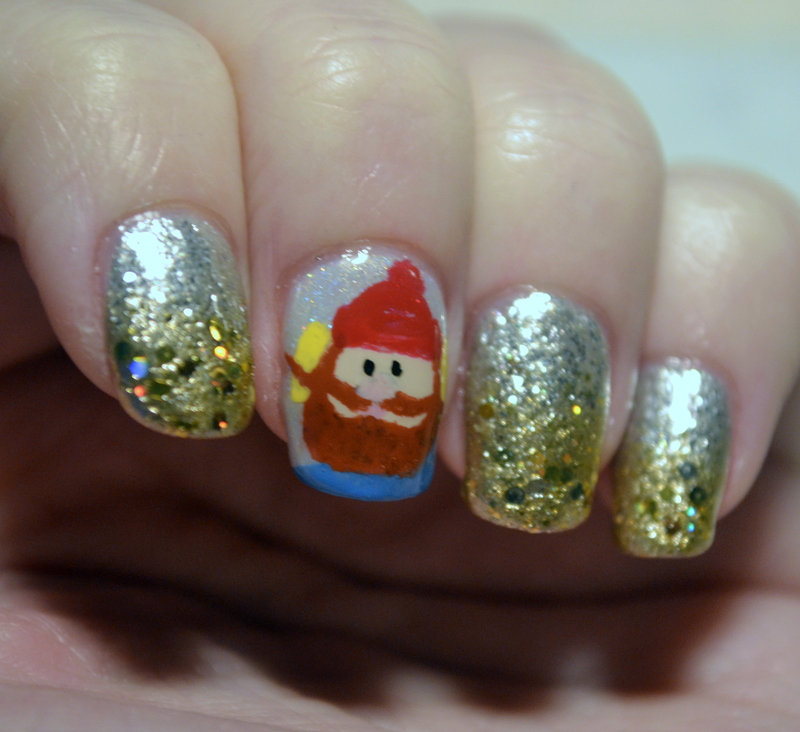 Very happy with how this mani turned out, if only because I like this guy so much. This is amazing, you totally nailed this prompt! Of course, Yukon Cornelius, I would have gone the same route! I’m new to your blog and I’m loving it….so far all your 12 Days of Christmas designs that I checked out are fabulous. Can’t wait to see what’s next! Ha, not too weird 😛 And thank you!! 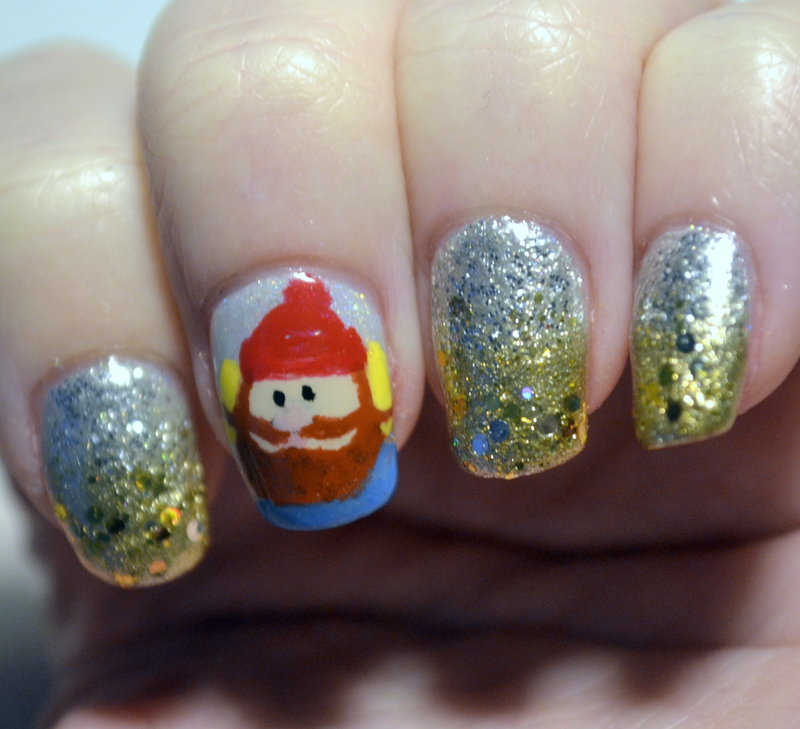 Yukon Cornelius!! I love that guy. heehee! 😀 Awesome nails.